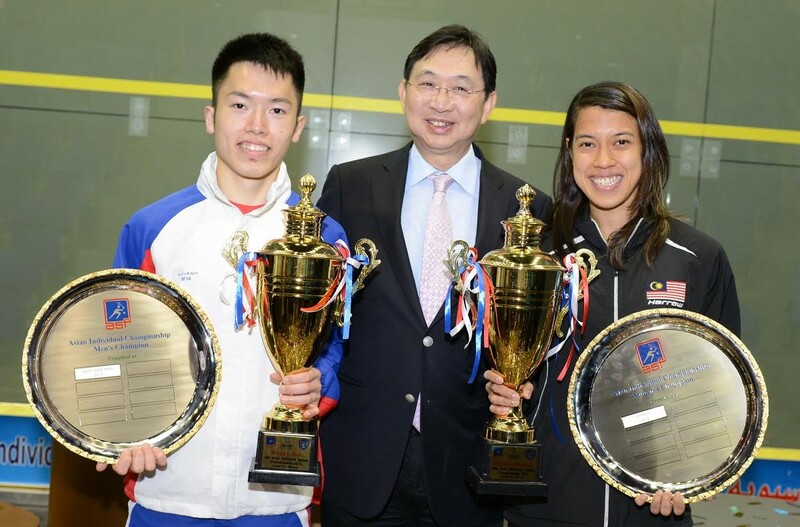 Squash players throughout Asia and Europe converged on Chennai in India and the Finnish capital Helsinki, respectively, in a bid for supremacy in the 19th Asian Championships and the top two divisions of the European Team Championships. 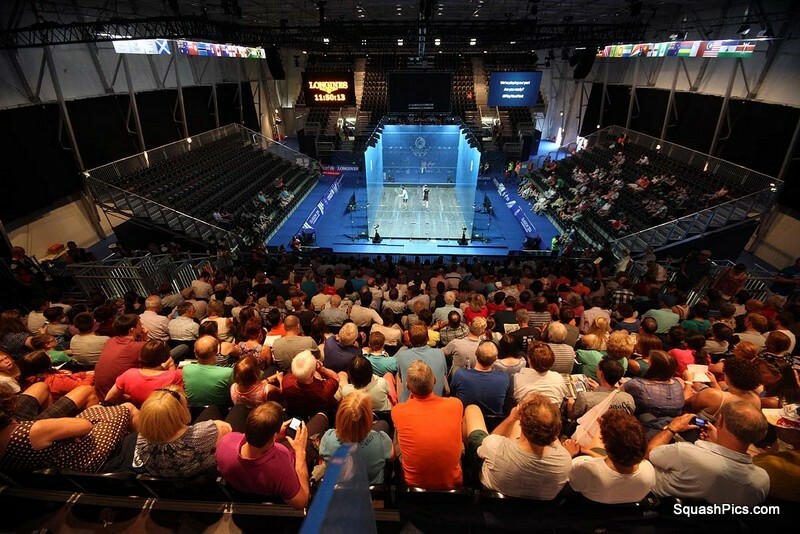 The partisan crowd surrounding the all-glass showcourt at the Express Avenue Mall in Chennai could not have hoped for a better local spectacle on finals day – with the hosts boasting a men’s finalist for the first time in the event’s history and the historic women’s final being an all-Indian affair for the first time. 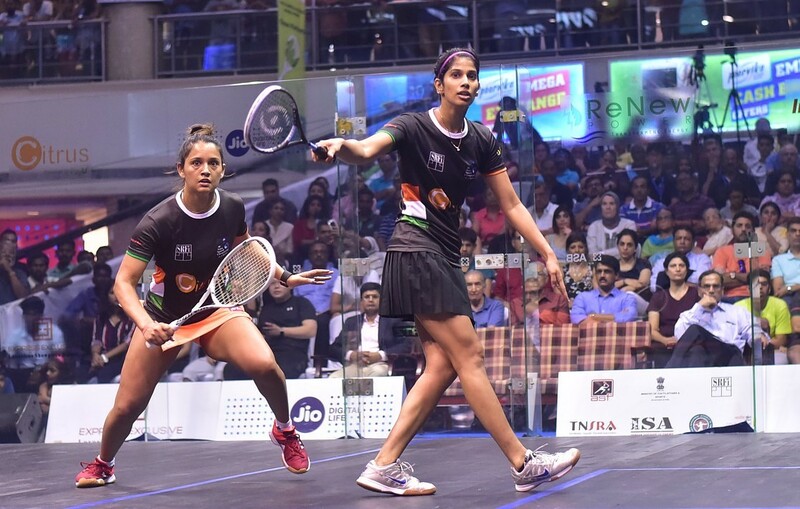 Both from Chennai and both boasting a career-high No.10 world ranking, second seed Joshna Chinappa and 4th seed Dipika Pallikal Karthik kept the crowd on the edge of their seats for 78 minutes before 14-time Indian champion Chinappa emerged triumphant 13-15, 12-10, 11-13, 11-4, 11-4 to avenge her loss to Pallikal in the 2016 National Championship! 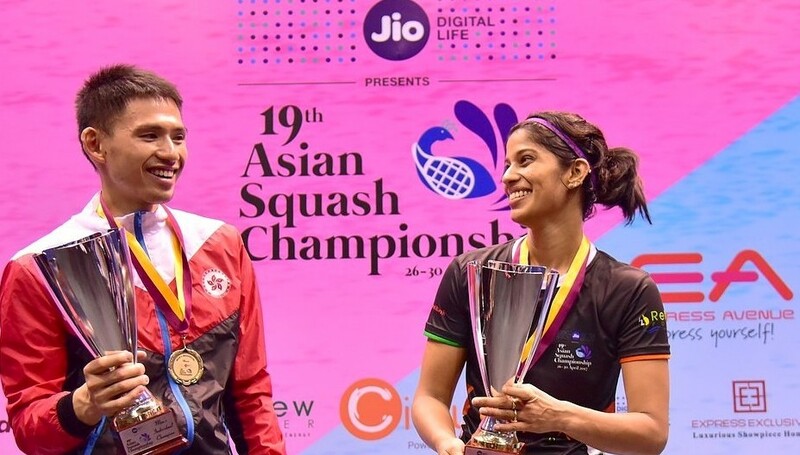 “It’s an unbelievable feeling to win such a prestigious title here in India in front of such a great crowd,” said 30-year-old Chinappa. 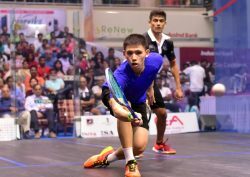 Saurav Ghosal, India’s highest world-ranked player of all-time, was unable to make it a home double. The 30-year-old second seed from Kolkata took the opening game against favourite Max Lee – but the world No.18 from Hong Kong soon regained control of the match before winning 5-11, 11-4, 11-8, 11-7 – thus keeping the title in Hong Kong hands. For the fourth successive year, the European Team Championships brought together England and France in both the men’s and women’s finals – but this year honours were shared at Talihalli in Helsinki. 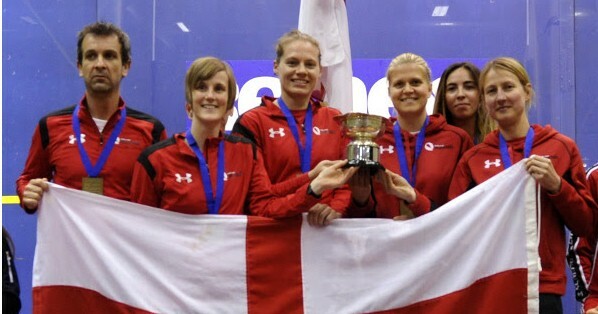 England (pictured above) triumphed in the women’s final for the seventh year in a row – and for the 39th time since the inaugural event in 1978 – after Sarah-Jane Perry beat France’s world No.3 Camille Serme for only the second time in her career, and England debutante Fiona Moverley then overcame Laura Pomportes. Both matches went the full distance. 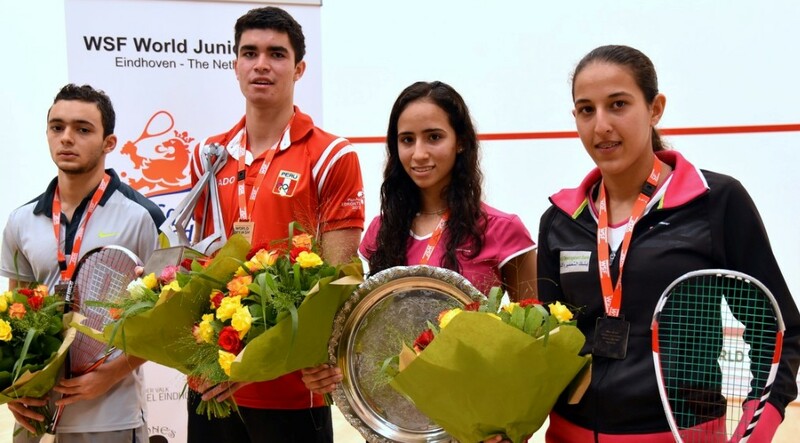 Wales beat third seeds Netherlands to win the bronze medal and record their highest finish since 1983. France (pictured below) upset the top seeds and defending champions in the men’s final to win the title for the second time in three years. The second seeds were in commanding form – Gregoire Marche beating higher-ranked Englishman Daryl Selby 13-11, 9-11, 11-7, 11-9, then world champion Gregory Gaultier and team-mate Mathieu Castagnet overcoming former world number ones Nick Matthew and James Willstrop, respectively.